February | 2013 | Crappy Kitchen - Good Dinners! This is a fantastic way to eat nice firm cod fish. It holds up very well to frying and has that meaty quality that goes oh so well with crusty bread! 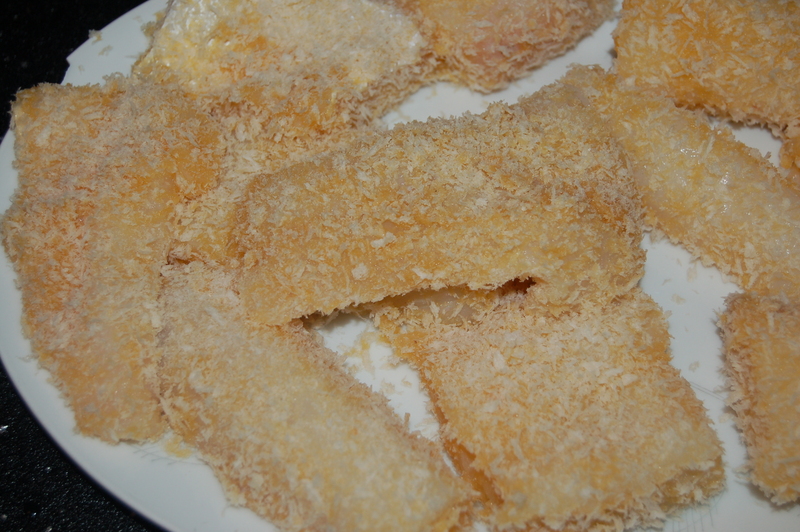 I find fish cooked with batter, or like here, with a nice coating of crispy panko crumbs seals in the flavor and moisture perfectly. This is very simple to prepare, however the only thing you have to watch is not to be afraid to get your pan hot enough so the fish does not stick to your pan, and leaving it alone while it is frying. The tendency to fiddle with the fish by moving it around or trying to lift it up to look underneath is a habit that can result in your never wanted to attempt to cook fish again. 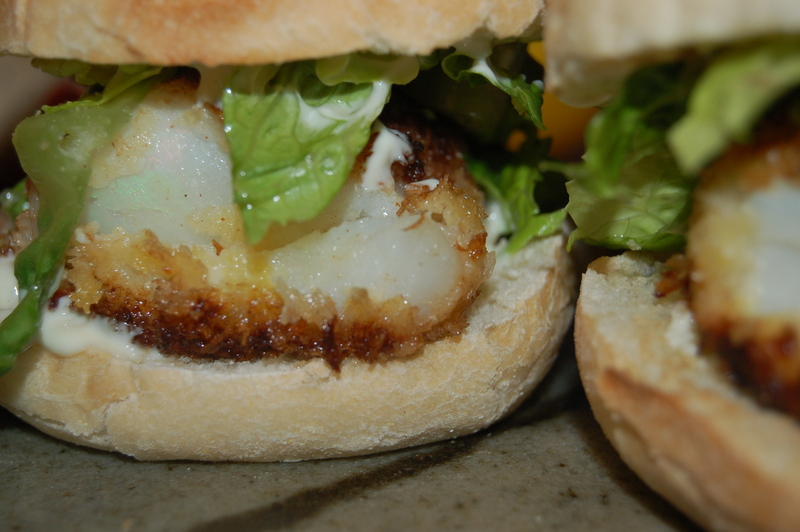 After you master the fish-frying you can make the sandwich any way you like. if you only have mayonnaise and mustard, then mix them together. Even a dollop of sour cream or plain yogurt can substitute for the mayo altogether. 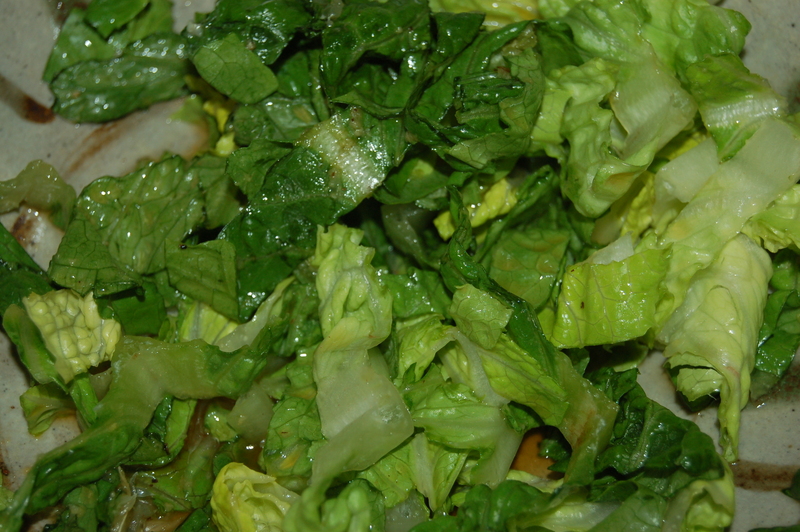 I soaked the lettuce in a soy and mirin mixture, but feel free to leave it plain if you are feeling plain yourself! In other words: attempt fish sandwiches for dinner some time! 1 – Wash and dry the fish and cut into 12 pieces. In a wide shallow bowl beat the eggs with the soy and mirin. Put the panko into a wide shallow bowl. 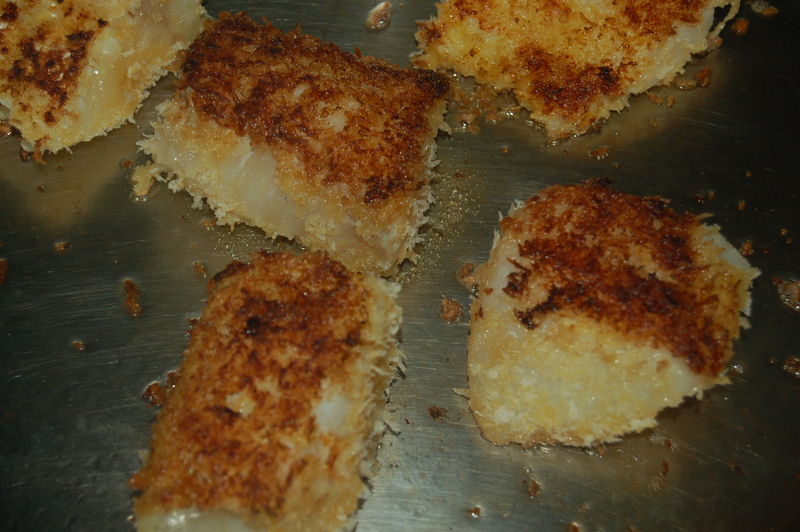 Dip the fish into the egg and then press both sides into the panko crumbs. Transfer fish to large plate and set aside. 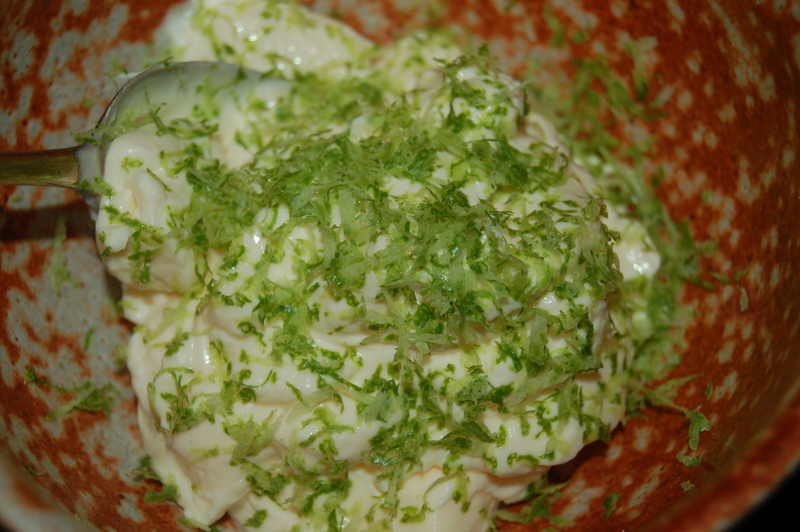 2 – Combine all ingredients for hot mayonnaise in a bowl. Taste to adjust seasoning and set aside. 3 – Toss the chopped romaine with the soy, lime juice, sriracha and mirin and set aside. 4 – Put large saute pan on just below high heat and add 2 or so tablespoons of vegetable (or olive oil). When the oil is hot, add half of the fish and cook on both sides until crispy and cooked through (about 7 or so minutes). *Do not move fish around too much or put into a cold pan or it will stick* Remove to a warm plate in a low temperature oven when done. To assemble: Split the buns and toast lightly. 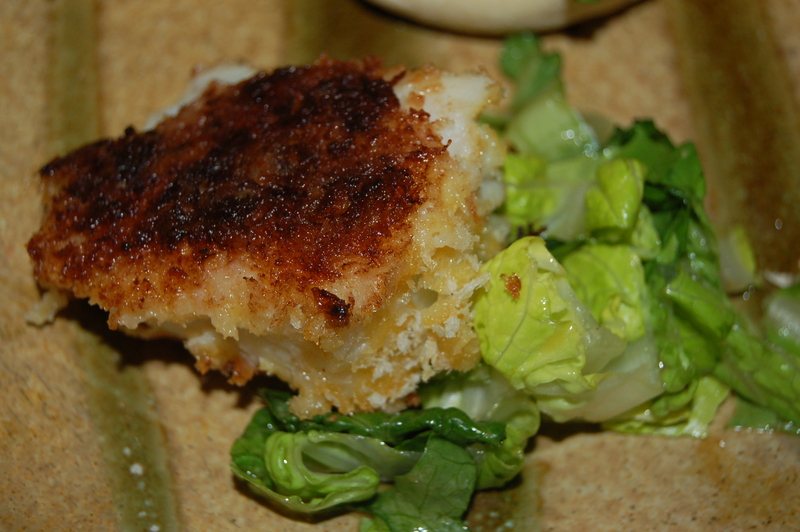 Spread some of the hot mayo on both pieces and top with fish, followed by lots of romaine. Top with bun and serve. 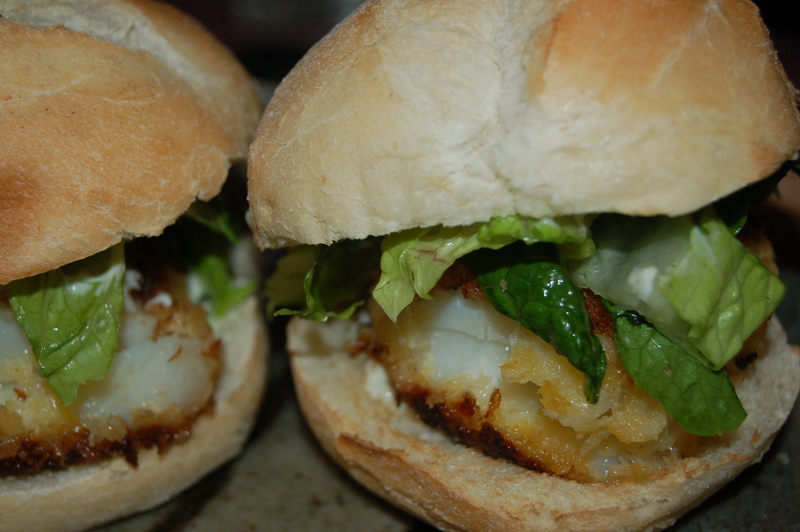 Serve two sliders per person. This can also be eaten on a bed of the dressed romaine without the bun. Can also be eaten without the bun! 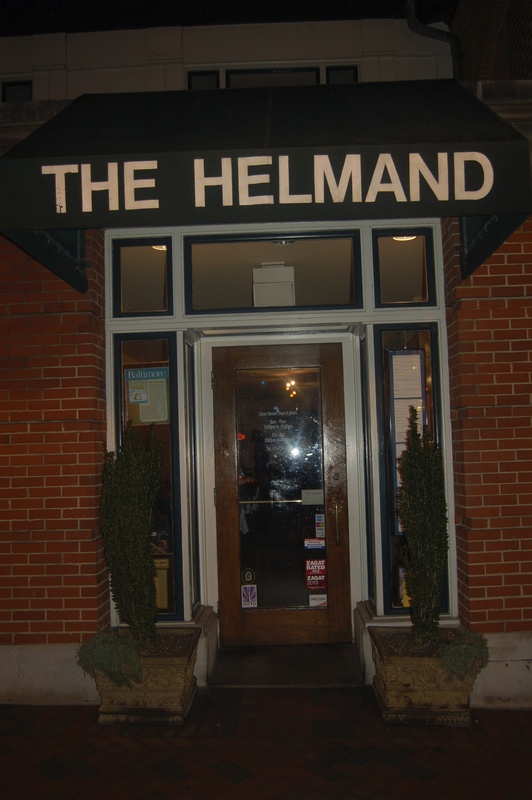 A Weekend in Baltimore & A Great Afghan Dinner at The Helmand! This weekend I was in Baltimore for work and it was glorious to get away after being cooped up for the past few months. 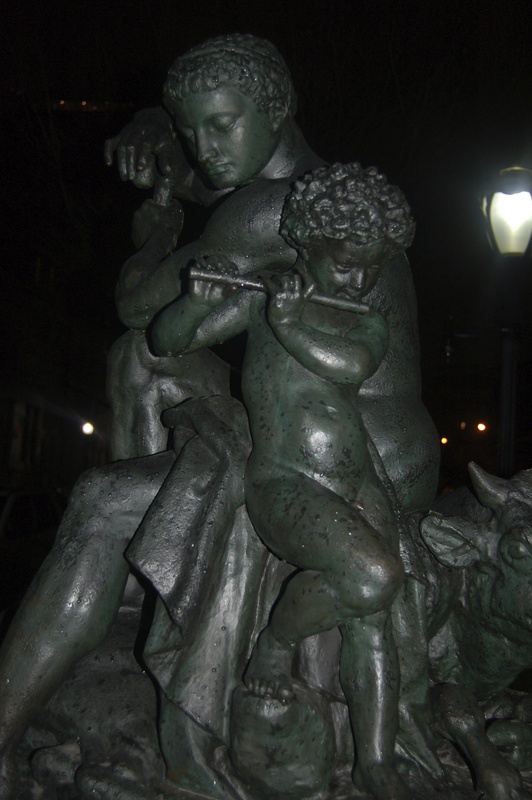 We have done this show for our work (jewelry & metal sculpture) at least a dozen times, and each time I get to know this lovely city a little better. It is an understatement to say that I love to travel, even if it is only to explore a bit of the country a few miles from my house. If you take the time to look at the buildings, the people, the shops, the food, you can piece together the kind of life that inhabits a place and what makes it distinctive from every other place. To plan on only trudging to the giant convention center where the show was held and sit in my booth amidst the hundreds of other exhibitors was not my idea of taking advantage of this travel opportunity. I made sure to fill in all my time around the show with as much sight-seeing as possible. When I am away from home, suddenly all the things that my days are filled with, being a mother, cooking, cleaning, working, writing all disappear and I am left with big gaps of time that can be used however I see fit. Baltimore is the perfect place to be stranded with time on your hands. 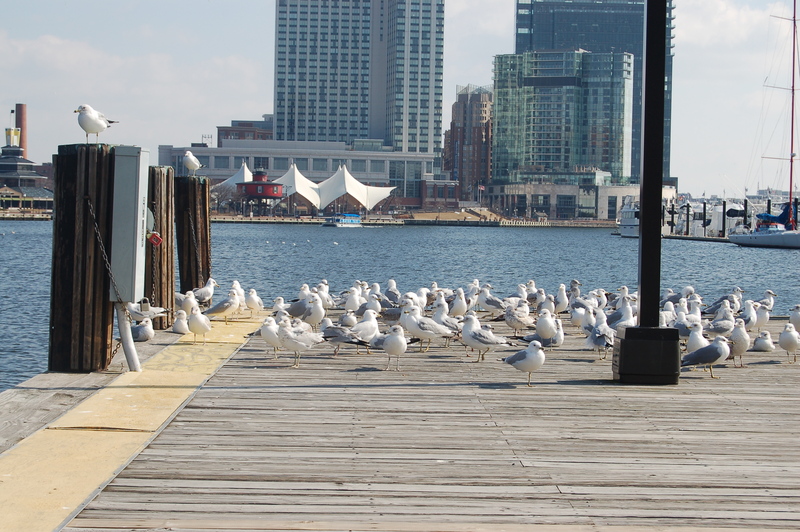 There was a danger of getting overwhelmed so I concentrated on just a few manageable things: good food and a walking tour of the city streets, and a visit to the beautiful Inner Harbor (more on the harbor below). 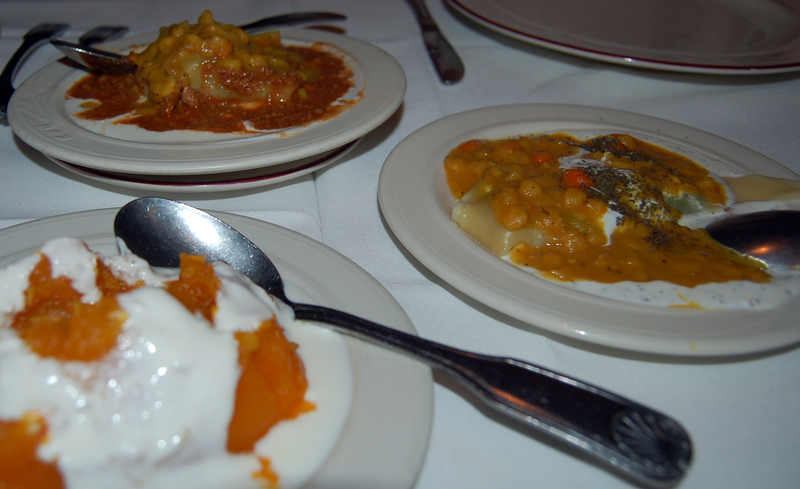 The food highlight was eating at the well-established Afghan restaurant on Charles street in the Mount Vernon district of the city, called The Helmand. I had eaten there before and made sure to make a reservation for the following day the moment I arrived. 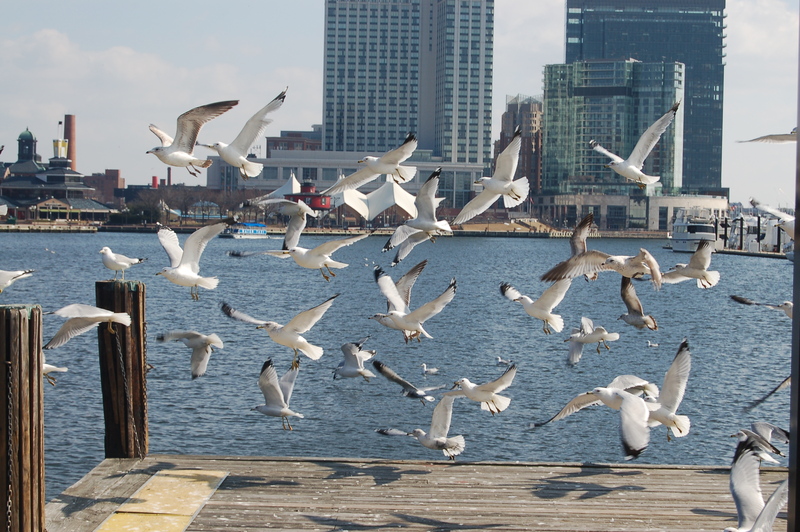 I knew it was a busy place and did not want to miss out on sharing this food moment with my friend Bird who had come from Manhattan for her first visit to Baltimore ever! The place was packed to the gills when we got there and even though I had a reservation we had to wait about 20 minutes for our table. This was fine because our profusely apologizing host got us a seat at the bar right in front of the open oven where the best bread in the world was being made! When we sat at our table we were treated to a round of drinks as a further apology for the delay in seating us. So The Helmand is not only named after the largest province in Afghanistan, but also apparently after the first-born son of the owners. The food at The Helmand is a complete celebration of the food culture of that country and it is safe to say that the people from this part of the world are in love with food. Every piece of meat or vegetable was infused with delicate spices and herbs or simmered to perfection in aromatic stews or marinades. There were delicate pastas filled with lamb, beef, leeks or onions, served with bright yellow split pea sauce on a bed of garlicky yogurt sauce or pungent mint sauce, plates of fried eggplant with tomatoes or stewed with garlic sauce, homemade pastry shells filled with ground beef or lamb served with basmati rice with cumin seeds (Challow) or cinnamon rice (Pallow). 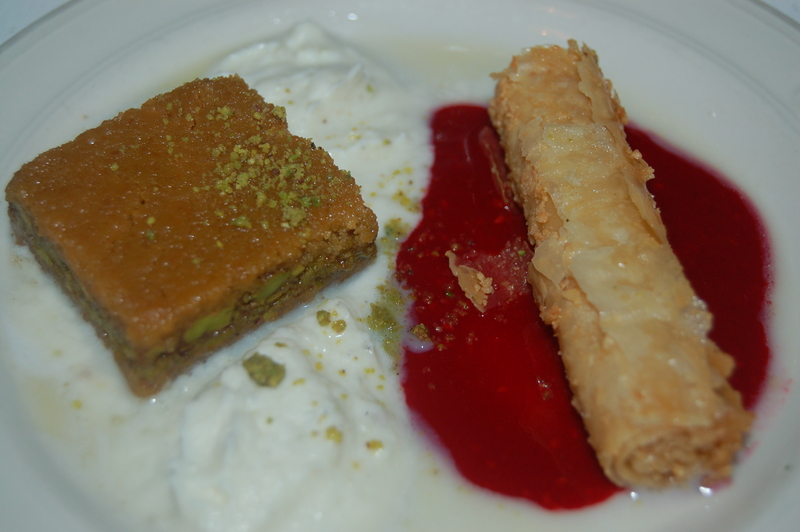 Middle Eastern Pastries: (a cardamom cake and a version of baklava served on sweetened yogurt and the best raspberry sauce I have ever tasted – unbelievable! Needless to say most of the conversation revolved around the various plates and bowls of food piled on our neat white table. The dessert was another sensory pleasure not easily forgotten with a cardamom pastry that made me run to the supermarket when I got home for a bag of cardamom seeds and a soft cheese curd called Kishmish Panir which was soaked in a thin pomegranate sauce and dotted with raisins. You read all sorts of reviews about restaurants and seeing as The Helmand is open over twenty years the general consensus is that it is a highly respected establishment with good food. My experience was nothing short of amazing and this was due not only to the excellent food but also in large part to the attitude of the entire staff who appeared to work together from the bus boy to the manager in one powerful unit, hell-bent on customer satisfaction. We were led out by the manager Assad who thanked us warmly for our patronage and hurried our return when we next visited his fair city. 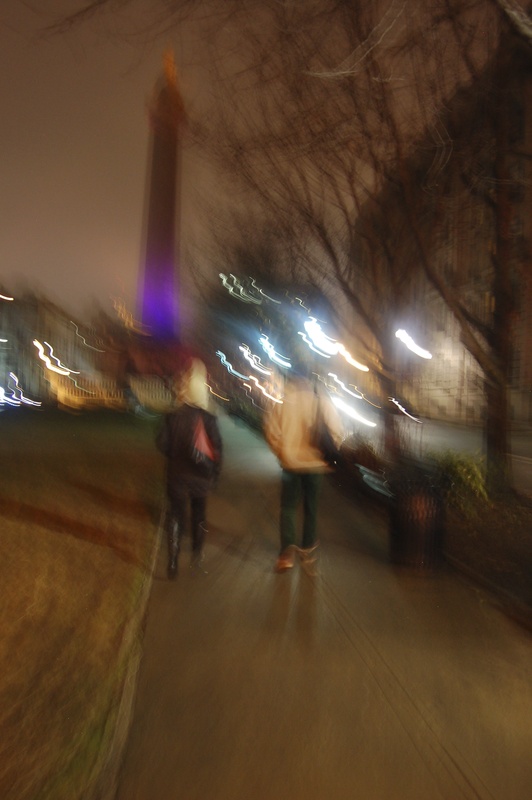 Dave & Bird heading towards the massive Washington Monument pillar (1815) on Charles Street after our unforgettable meal at The Helmand – thank you Assad for a wonderful evening of dining! 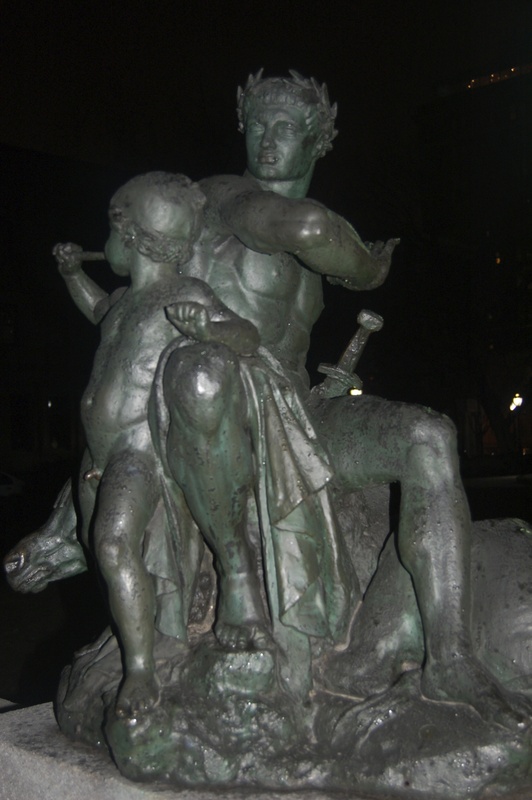 The city of Baltimore was founded in 1729 and is best viewed at walking pace to be fully appreciated. 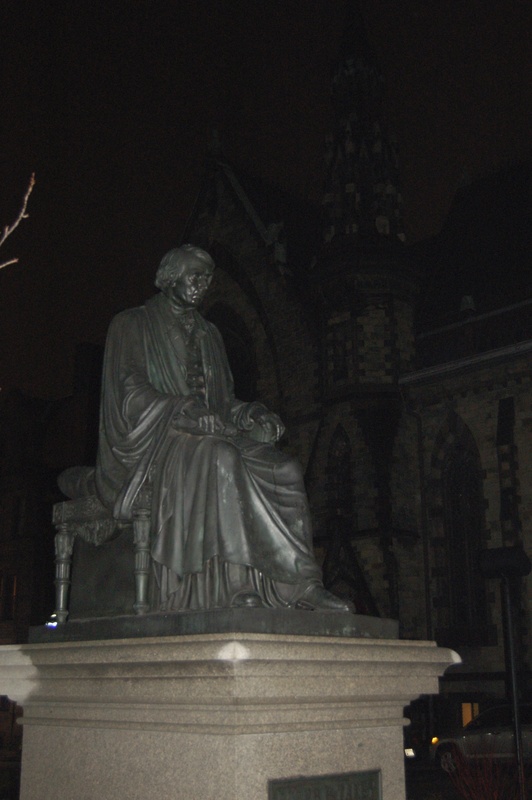 The streets are wide and lined with important architectural buildings that span two centuries from Benjamin Latrobe to modernist Mies van der Rohe. The large Pillar of the Washington Monument dominates Charles street and that is one structure amid countless beautiful churches, museums, government buildings and grandiose statues dotted throughout this city. 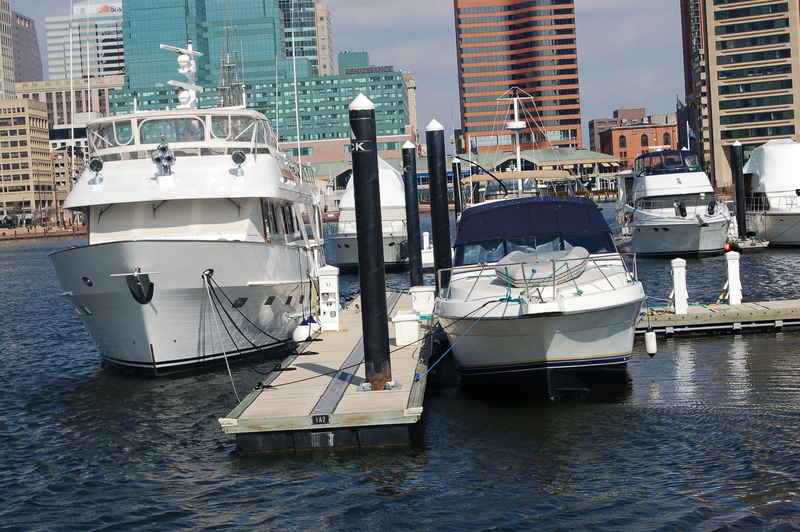 I look forward to writing a detailed account in another post because for now I want to take you on a visual tour of the beautiful Inner Harbor in downtown Baltimore. The way in which I see many new places unencumbered by bags, coats and a camera is by running. It is something I do just about everyday and how I get to know the places around me in a more intimate way than say driving around in a car. If you run in any direction from a given spot for several miles, you can discover all sorts of interesting things. 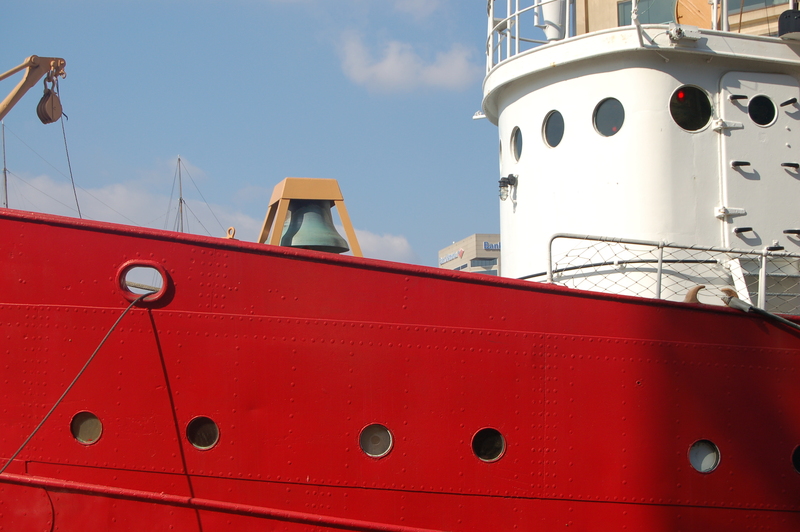 The Lightship Chesapeake was built in 1930 and served as the beacon for all traffic in and out of the Chesapeake Bay. it was used as a patrol ship during the war and then resumed the duties of a lightship until 1971 when it became part of Baltimore’s Maritime Museum. Each morning this past weekend I went on a running exploration.The first day I ran away from the harbor into the city, and the next I ran around the harbor. After I had seen all I could, I choose certain spots to revisit with my camera (yes, wearing a big coat and lugging a bag as well as the camera!). 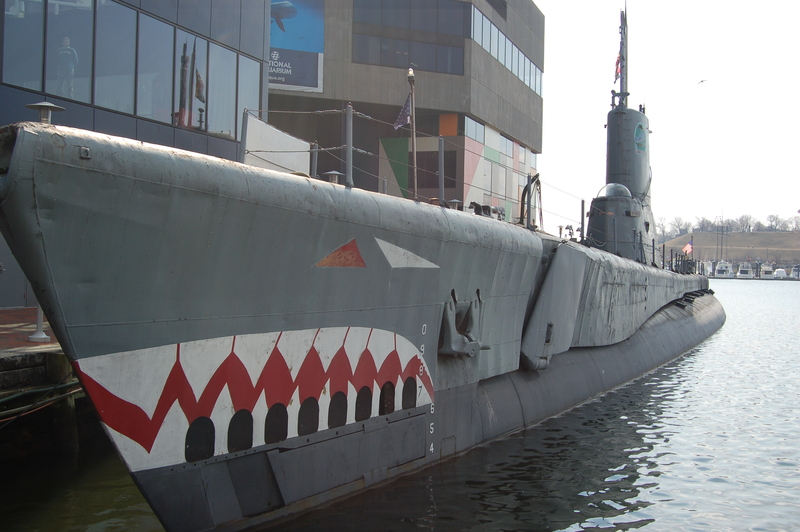 The USS Torsk Submarine was commissioned to duty in 1944 during World War II and was active until 1968. It made an astounding 10,600 dives during it’s career. 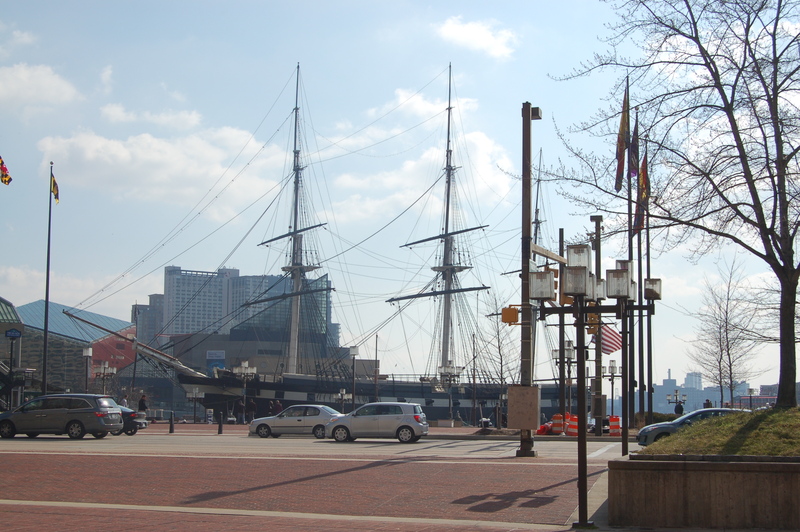 It has been sitting at the Inner Harbor since 1972 where it is a museum and a memorial. 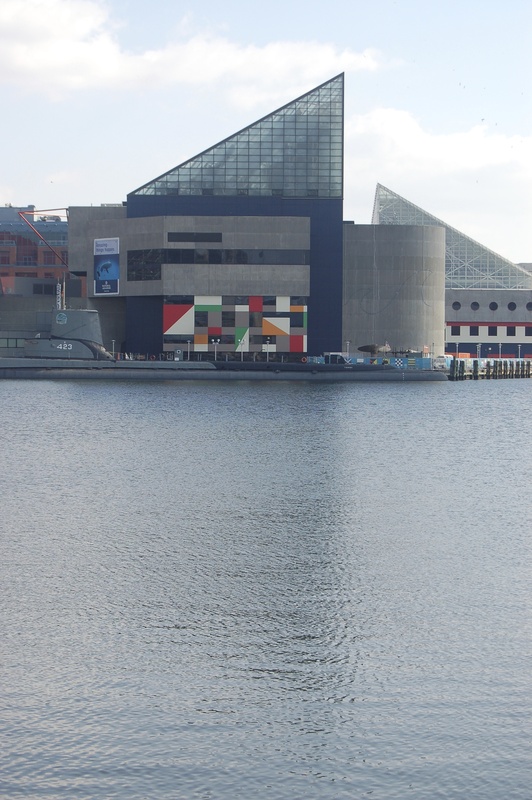 The Inner Harbor of Baltimore is home to one of the largest collections of military vessels and artifacts in the world and the entire harbor has been re-designed with this unique floating history at its center. 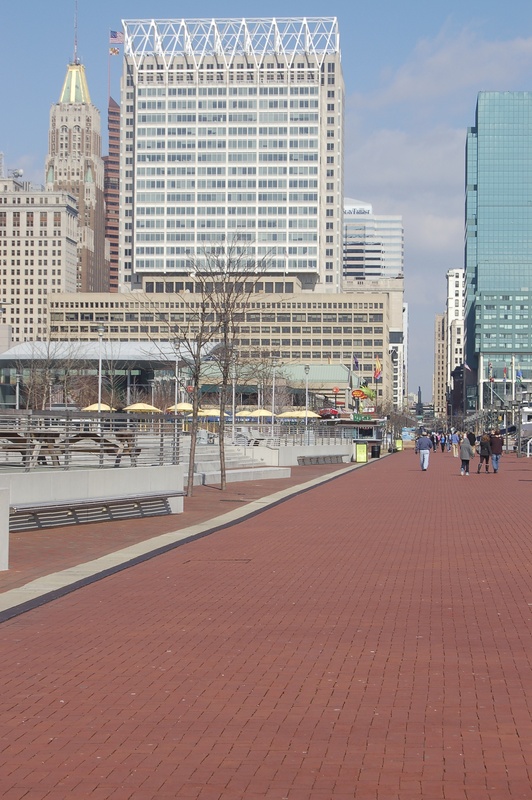 This could have been a tacky affair with cheap carnival-style attractions, but the Inner Harbor of Baltimore is absolutely beautifully designed with no garish signage, blinking lights or cheap looking buildings. It used the beauty already there to create a place that would take a person 3 days of intense site-seeing to visit everything on offer. 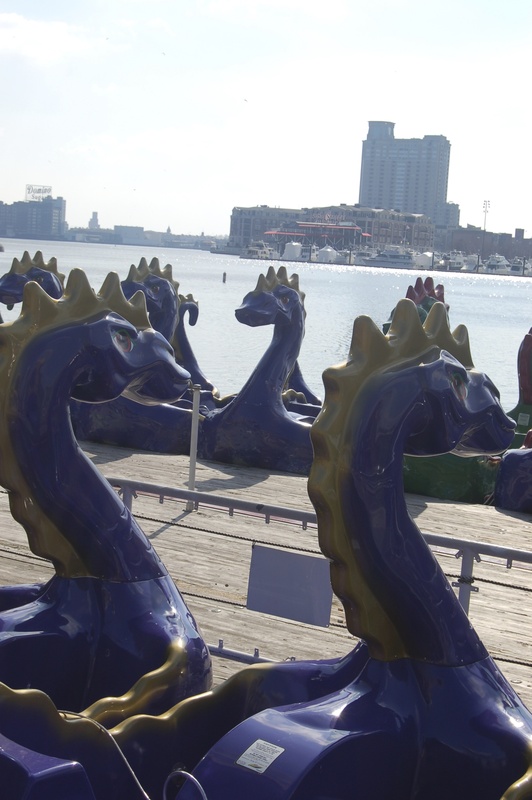 I know, it’s not Venice – but it’s what came into my head when I saw these perfect rows of purple plastic dragon peddle boats bobbing in the harbor! 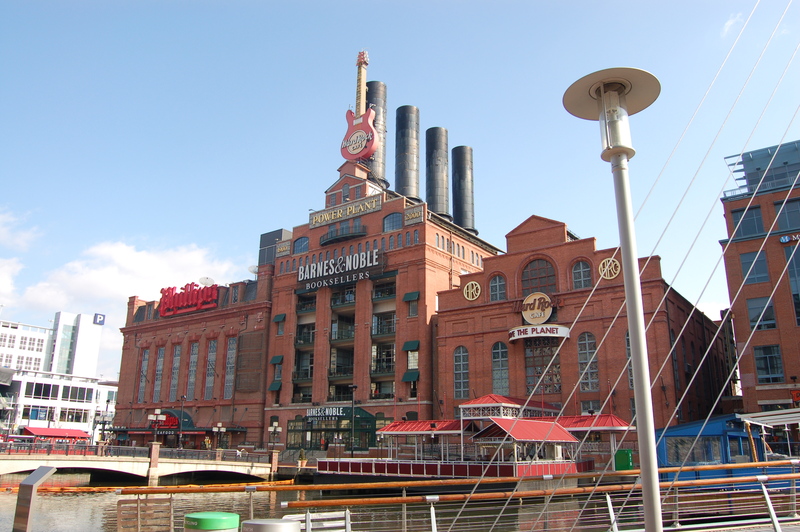 Beginning in the 1950’s the city of Baltimore turned the dilapidated harbor into a major place of recreation attracting tourists from all over the world. It constructed beautiful parks and renovated the harbor’s buildings infusing the downtown location with renewed life where the community could gather. 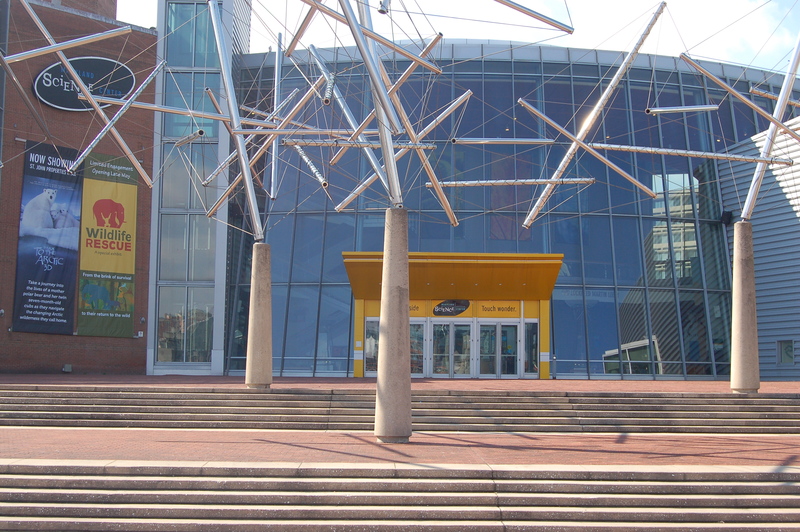 It highlighted the historical places like Fort McHenry (where a battle there in 1814 inspired the writing of the Star Spangled Banner) and its military history with modern facilities such as the Science Center, the Visionary Museum and a world-class aquarium. 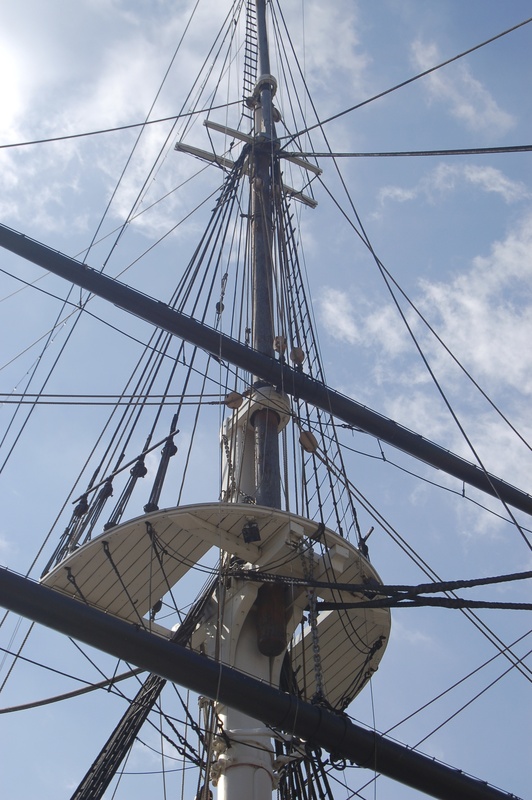 The crown jewel of the Inner Harbor Historical Ships, The US Sloop-of-War Constellation active from 1854 until officially decommissioned in 1933 . This ship protected American interests at home and abroad, sailing to all corners of the world, as well as playing a part in the Civil War. 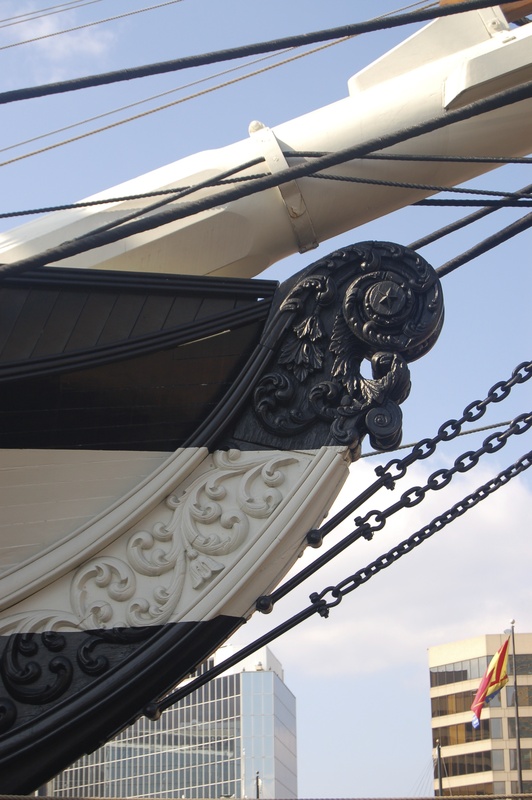 It is now a national relic and an outstanding museum where all parts of the ship can be toured and visitors get a unique glimpse into America’s history. 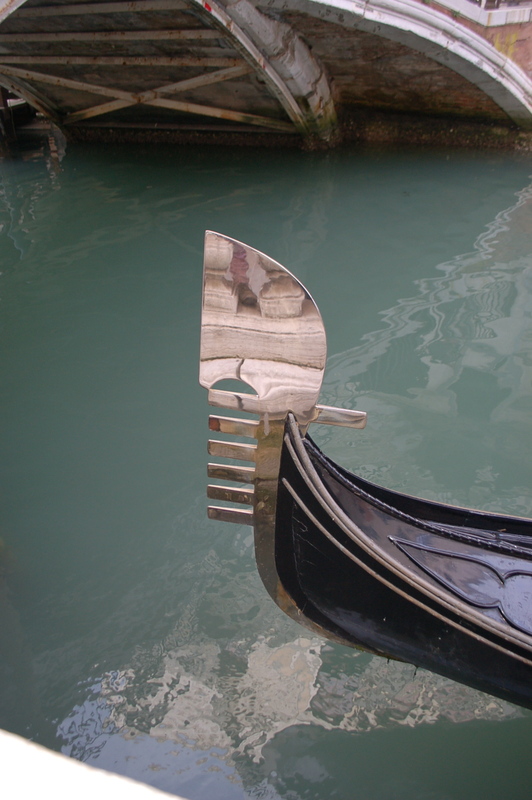 Even if you don’t have time to visit all of these fabulous places, the walk around the harbor is breathtaking, with all sorts of treats for the eye like the ships, boats, museum buildings and park that surround and hug the water. 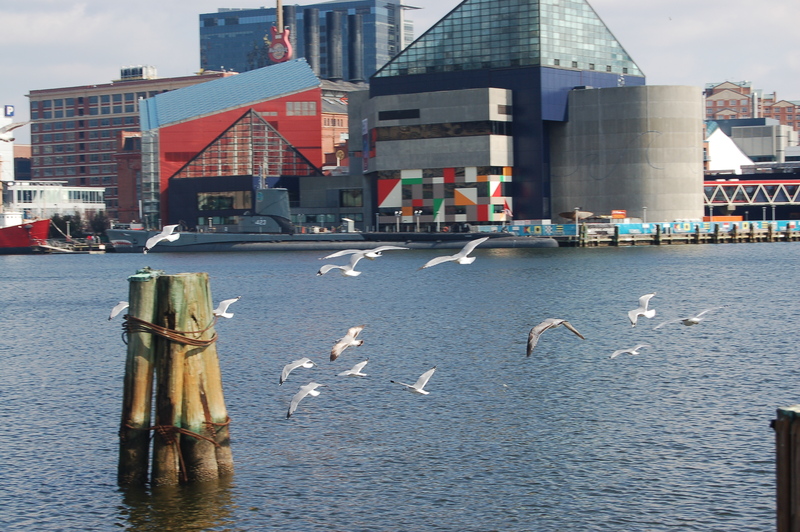 It was a blustery and cold Sunday morning when I meandered around the harbor but that didn’t stop the joggers, the museum goes, bird feeders and maritime enthusiasts from throwing on a hat and coat to enjoy the sights and sounds that the Inner Harbor offers up on a daily basis. My weekend in Baltimore was a time to see all of my old exhibitor friends I only get the chance to see at shows, and a time to re-appreciate what is great about this city. 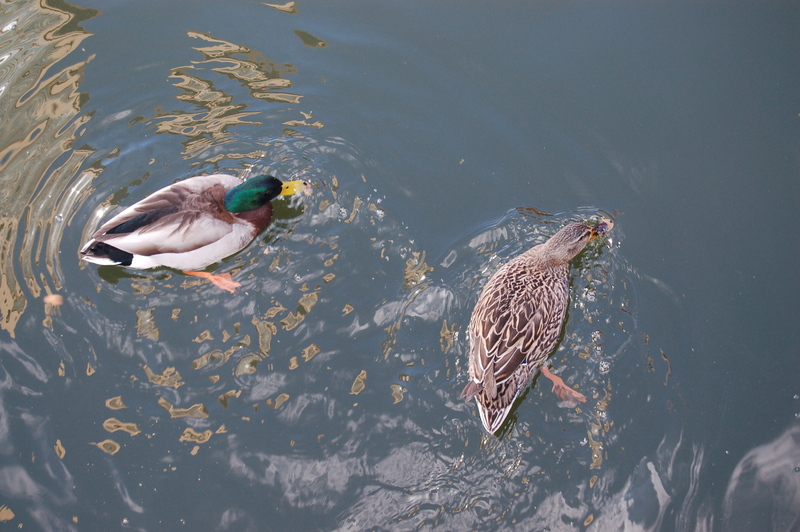 My friend Bird was really fun to be with because she brought a fresh point of view. She was amazed by the overall friendly nature of the people and how this differed from the harried vibe that can sometimes exude from the streets of New York City. My trip to Baltimore was of course way too short to do all of the things on my list, so I am already looking at my calendar for another window of opportunity to go back. 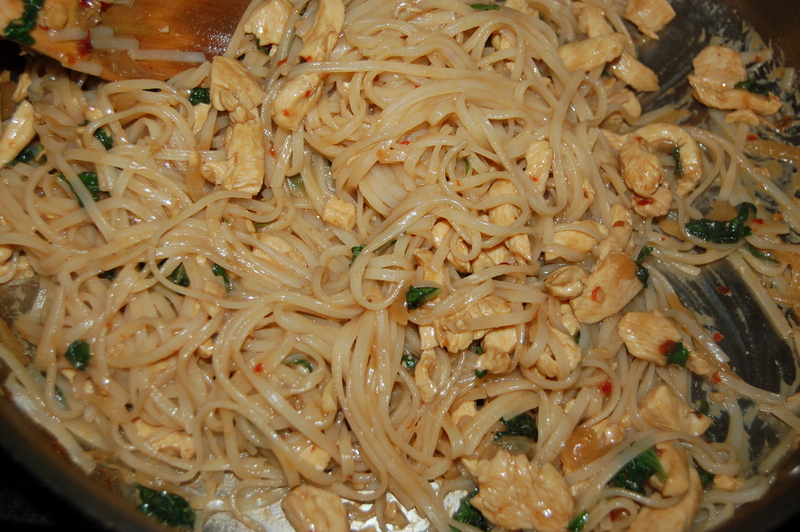 This was truly FANTASTIC – you have to try this quick spicy noodle dish! 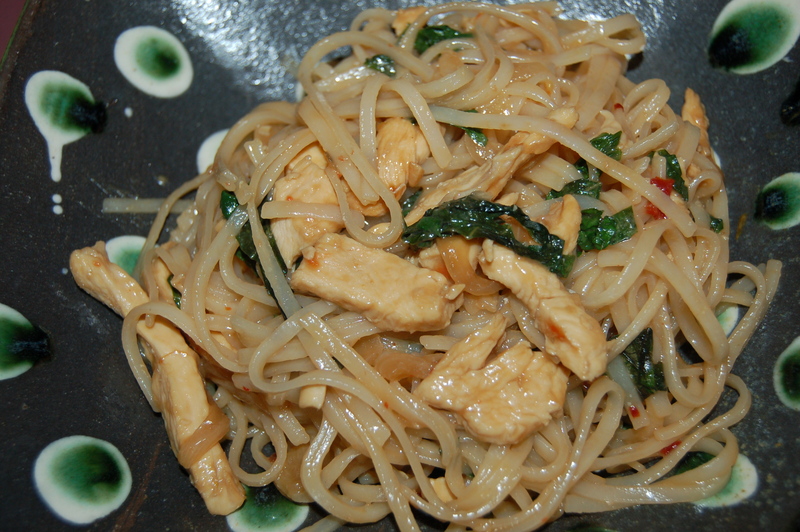 I don’t know what else I can say: I had fresh basil, I had rice noodles and this is what happened. 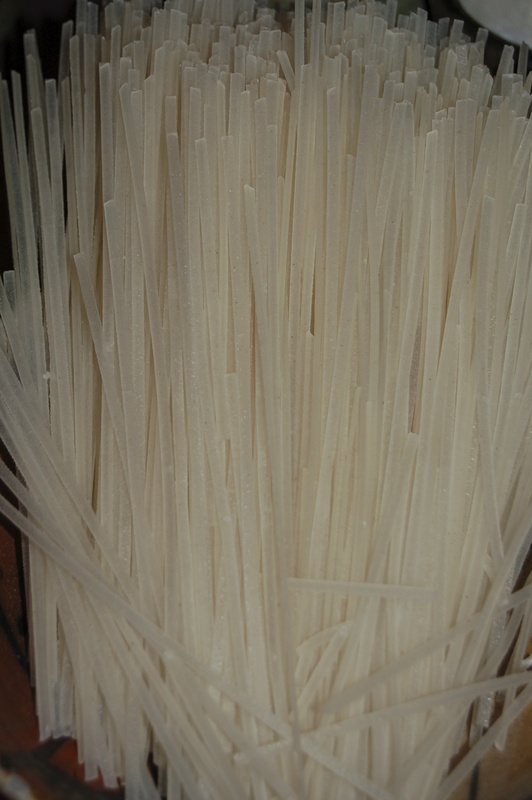 Rice noodles are a terrific substitute for semolina based pastas and for people who cannot tolerate wheat or flour in their diet. I love their glassy appearance and how they taste great cold or hot. Anyway, the real point is that you have to make this, especially if you are a little timid to try Asian stir-fry dishes. It will win you over. 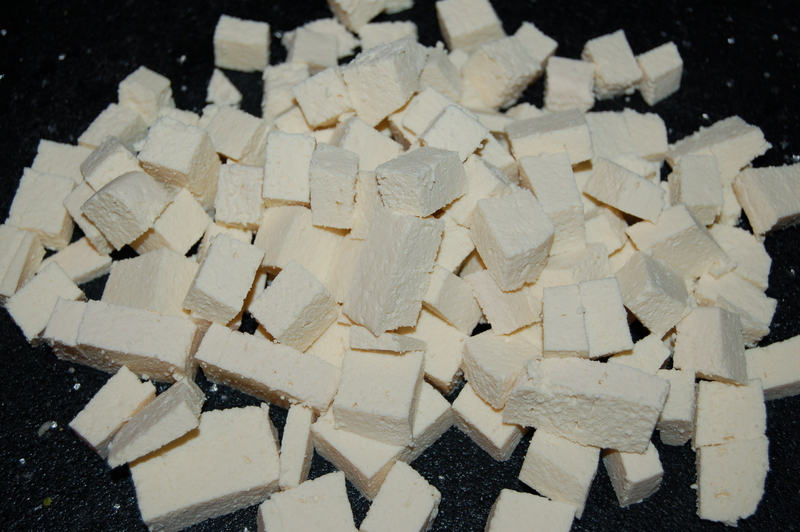 It is also good with tofu or another meat like sliced beef or pork. 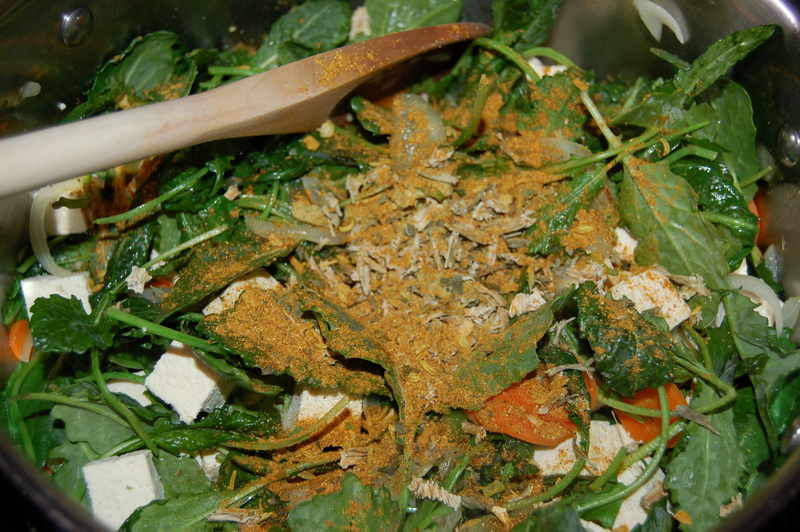 1 – Mix the first 5 ingredients together in a small bowl and set aside. Put large saute pan on medium heat and add the oil. When it has warmed, add the onions and the garlic and cook for 5 minutes stirring occasionally. 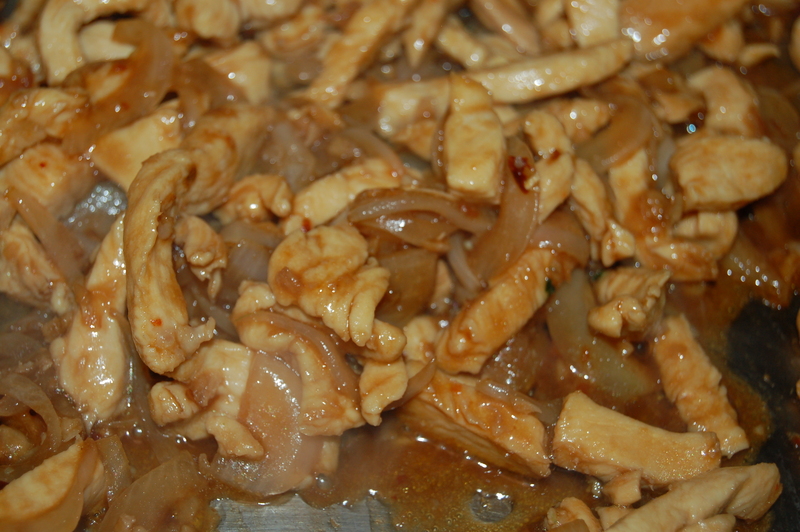 2 – Turn heat up to high and add the chicken and cook for about 5 minutes, stirring after about 3 minutes. Add half of the sauce and stir and continue to cook for another minute or two. 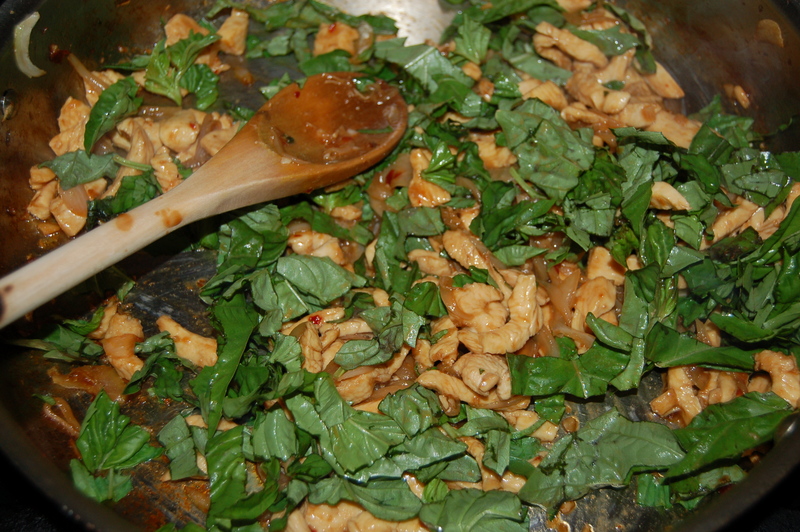 3 – Turn heat down to medium and add the chopped basil and stir quickly. 5 – Add the noodles and rest of the sauce and heat until noodles have warmed through Add the beaten egg and stir into noodles. Cook for about 1 more minutes and turn off heat. Serve with some chopped peanuts and a little chopped fresh basil. This dish is also great at room temperature or cold! 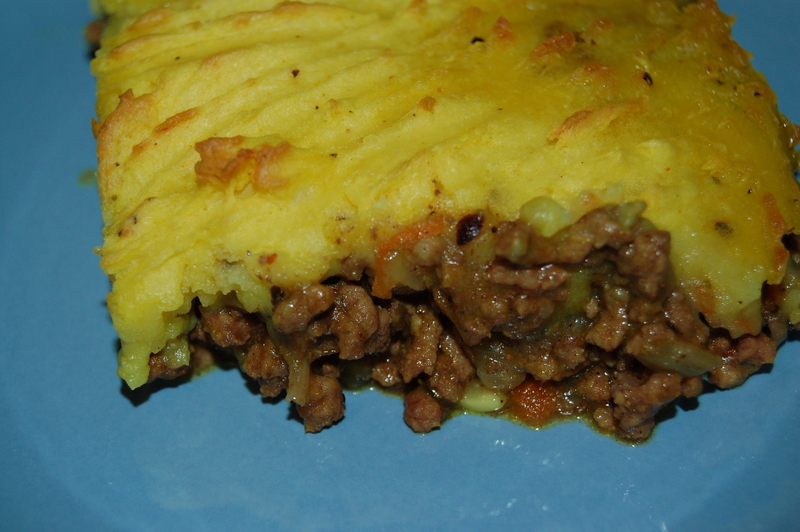 Have you ever longed for the comfort of Shepherd’s Pie but also had a yen for something spicy? This was my dilemma last night, and for some reason my brain was still working after a busy day, and I came up with an easy but delicious solution. So much of the food I cook for dinner on a daily basis comes from the action of opening the fridge or cupboard door. When I shop for groceries I don’t have dishes in mind for a week of cooking, I just buy enough of each particular food group (for lack of a better word!) and pair ingredients up with each other as I see fit. Yesterday I ended up with 1 meagre pound of ground beef and I was determined to make it interesting. This is where my hoard of fabulous spices came in so very handy, and adding a concoction of my own creation helped my plain old minced meat achieve a whiff of the exotic. Adding a little turmeric and an egg yolk to my mash gave it the radiant yellow hue needed for the spicy surprise underneath. 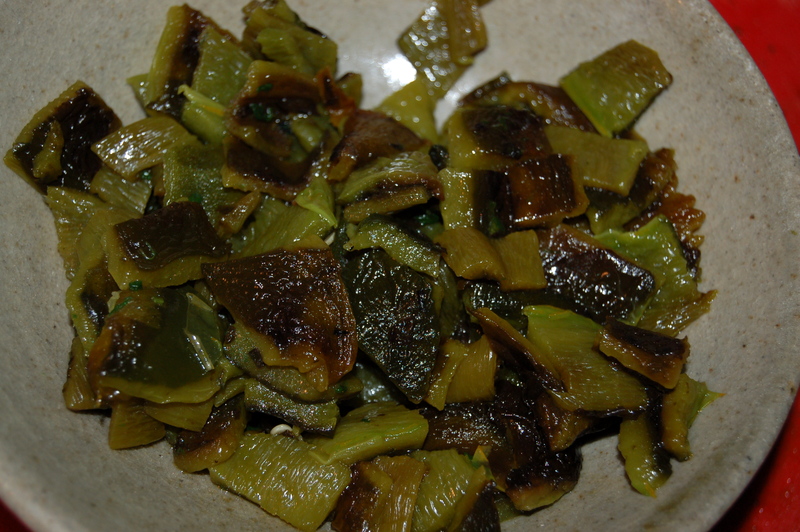 1 – Put saute pan on medium heat and add the onions and garlic. Cook, stirring occasionally for 5 minutes. Cover with lid and turn heat down and cook for a further 5 minutes until soft. 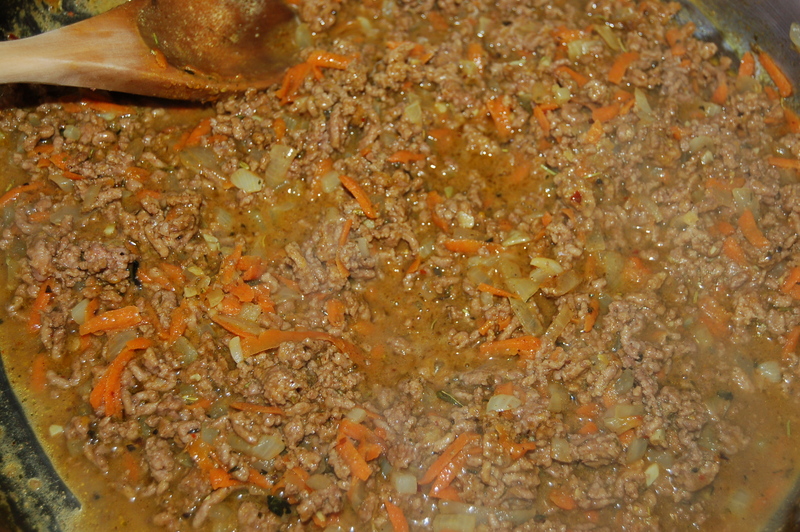 3 – Turn the heat back up to medium and add the ground meat. Cook until the meat browns. 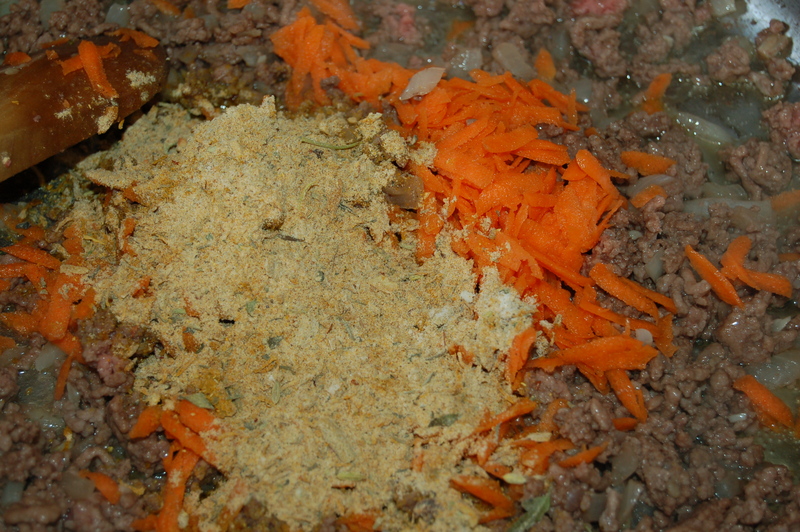 Add the carrots and spices and stir everything together. 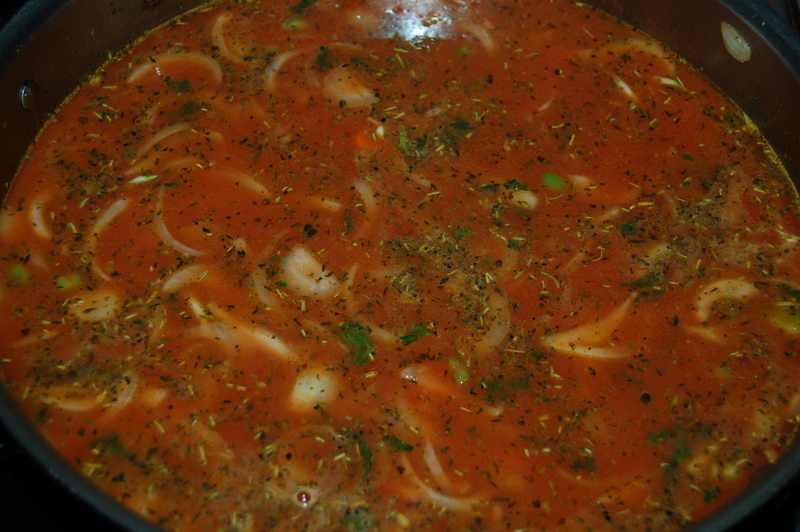 4 – Add the broth (or water) and bring to a simmer. Cook for about 2 minutes before turning off the heat. Set aside until ready to assemble. 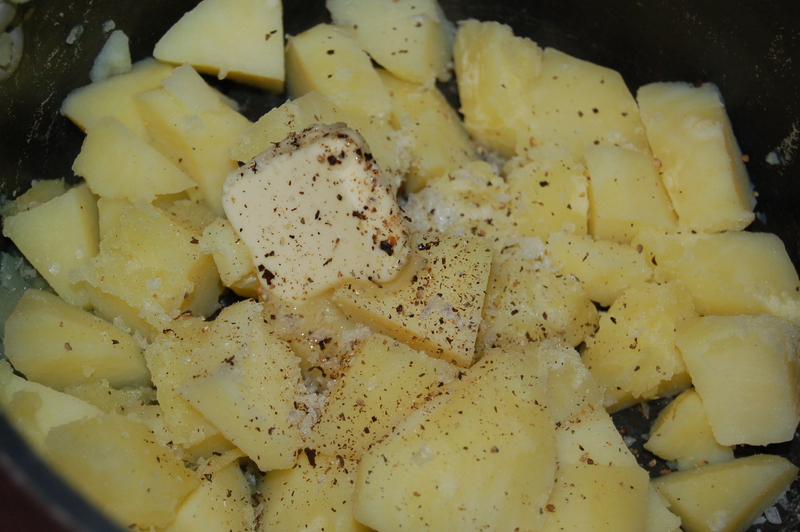 5 – Peel and cut potatoes and place in pot. Cover with cold water and swish potatoes around with your hands removing some of the starch. Drain out the water and fill again until potatoes are just covered. Place on stove top, cover with a lid and boil until soft. 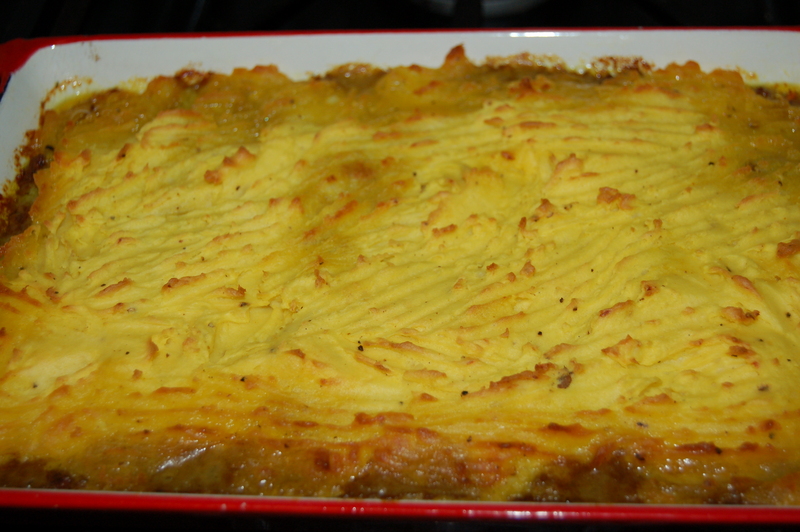 Drain the hot water and add the remaining ingredients to the pot and mash until you have a creamy-like consistency. Taste to adjust seasoning if necessary. 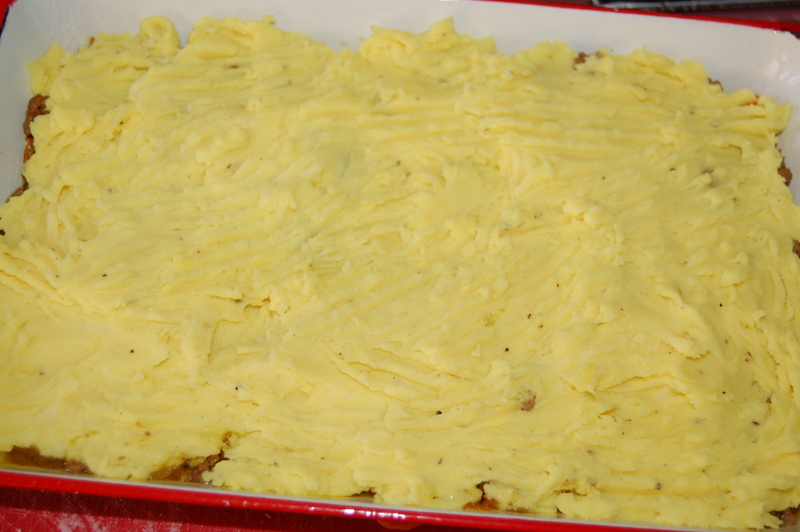 6 – Butter a shallow casserole and spread the meat filling in the bottom. 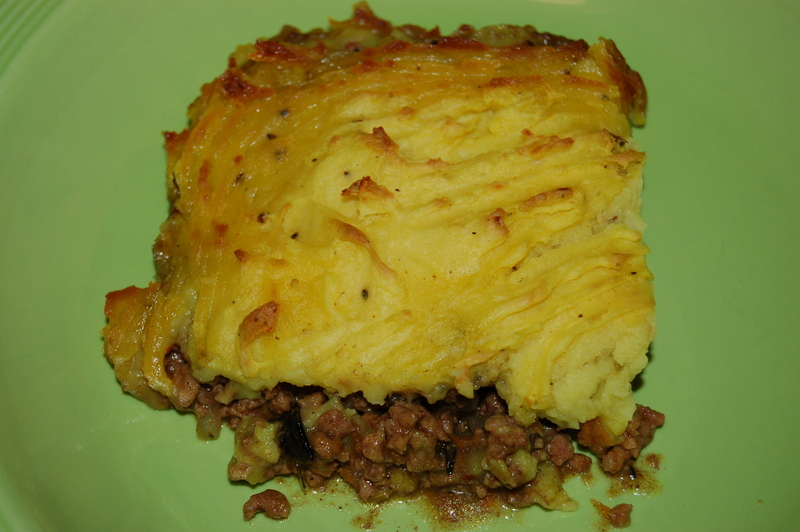 Cover with the mash in an even layer and stroke the whole top with the tines of a dinner fork. 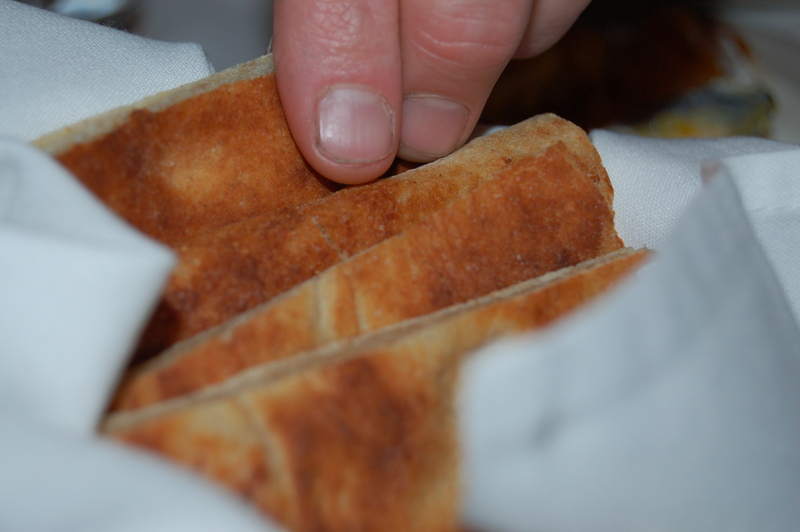 7 – Place in preheated oven and bake for 35 to 40 minutes. Remove from oven and let sit for 5 minutes before serving. Serve this with a simple fresh green salad. If you have a stocked pantry and meat in the freezer, then making a dinner like this one requires no thinking or trip to the supermarket. I use fresh herbs in my food as much as possible, however I do keep a few dried varieties on hand for those moments when the cupboard is bare or when I want the intensity that is characteristic of certain dried herbs. 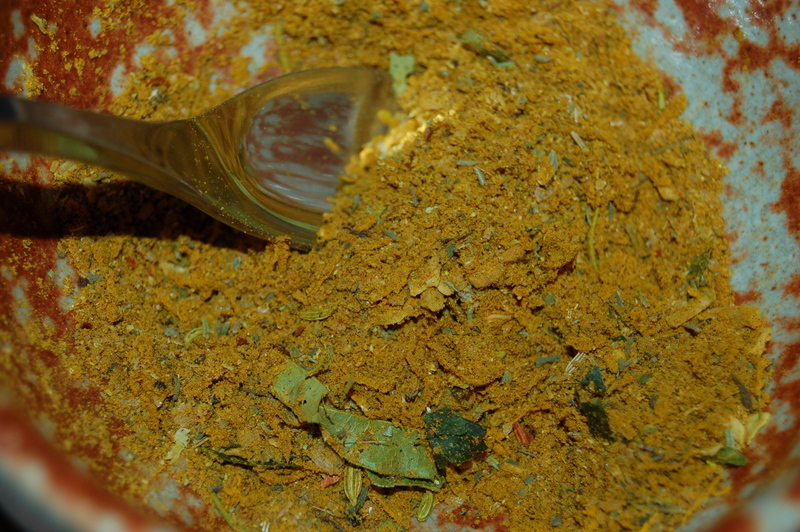 My favorite is a mixture called Herbes de Provence and one tablespoon can make a big impact. Herbes de Provence is a combination of thyme, marjoram, rosemary, basil, fennel, sage and lavender. I think that lavender is one of the key ingredients and gives dishes like the one I made last night a beautiful perfume-y quality that goes so well with strong flavors like lamb. So if shelf space is meagre in your kitchen, or you are like me and don’t like spending money on a ton of dried herbs that more often than not don’t get used up before they have lost their aroma, stick with the all-in-one Herbes de Provence. It is great in stews, grilled meat, fish and vegetables. 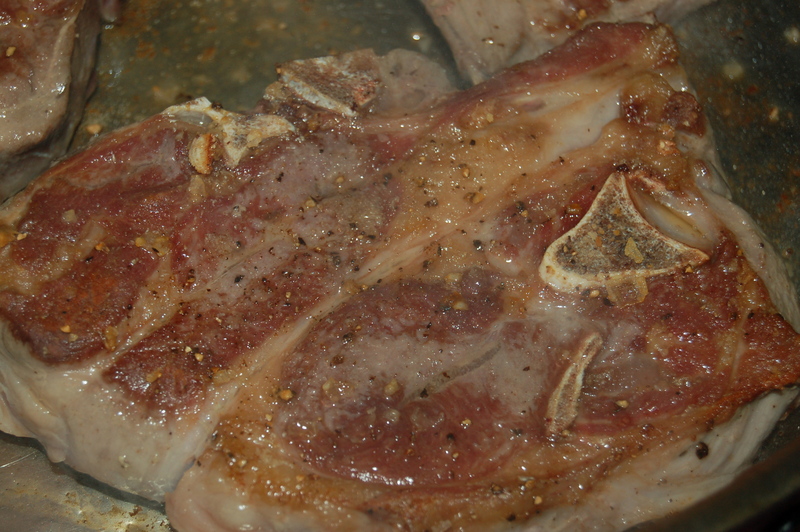 1 – Generously season the lamb with sea-salt and freshly ground black pepper. Put large saute pan on high heat and add 2 tbs of olive oil. When it is very hot, add the chops in an even layer (you will probably need to do this in 2 or 3 batches depending on the size of your pan). Cook on each side until browned, adding more oil as needed. Remove to a heavy casserole or dutch oven. 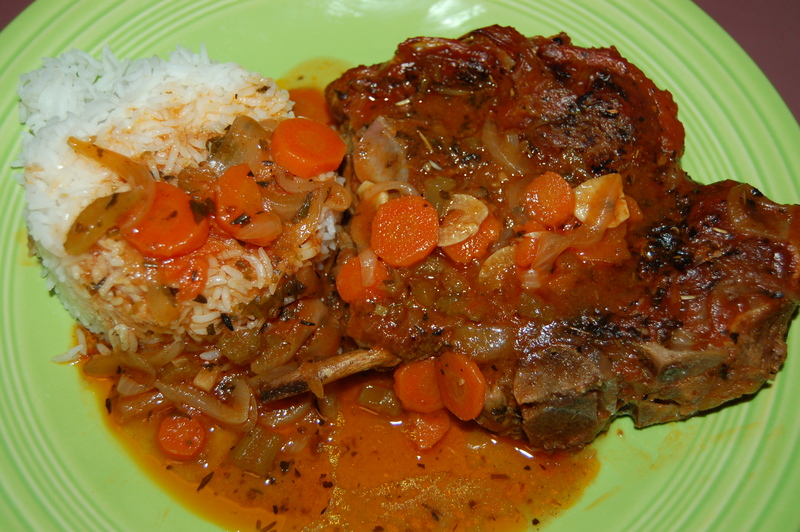 2 – Turn heat down to medium and add all of the veggies, as well as the Herbes de Provence. Cook for about 5 minutes, stirring occasionally. 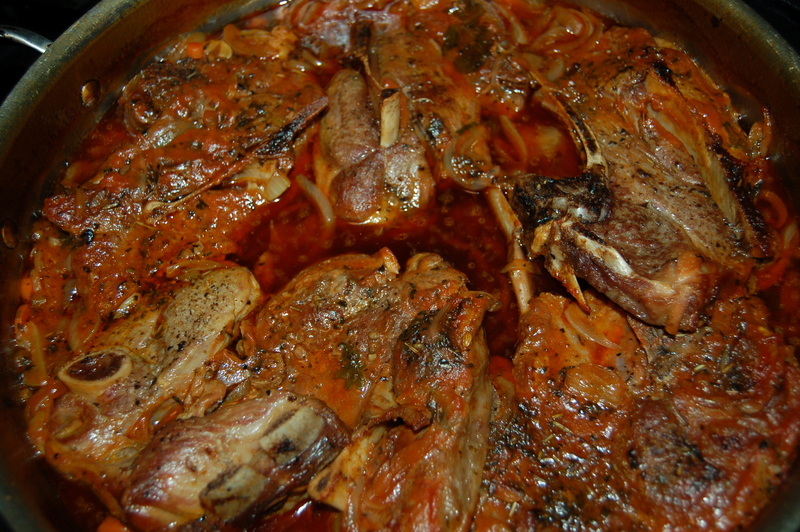 3 – Add the tomato pure and mix well. 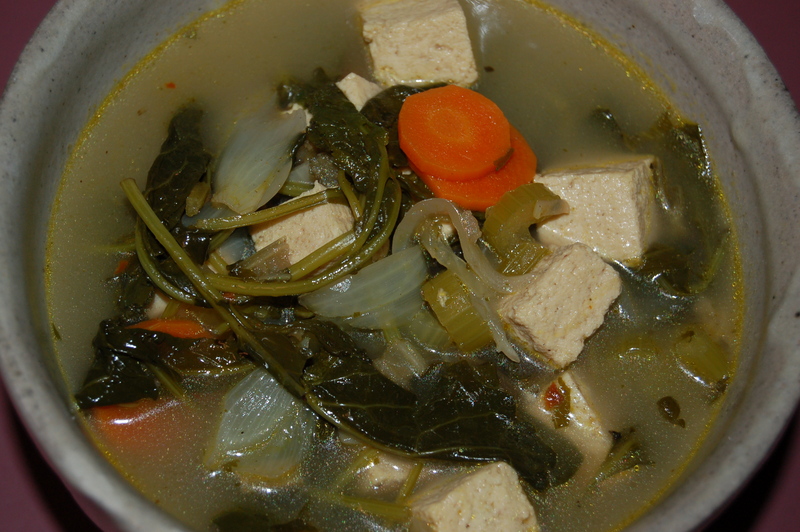 4 – Add the stock, or bouillon and water, and turn heat up to high. Bring to a boil. 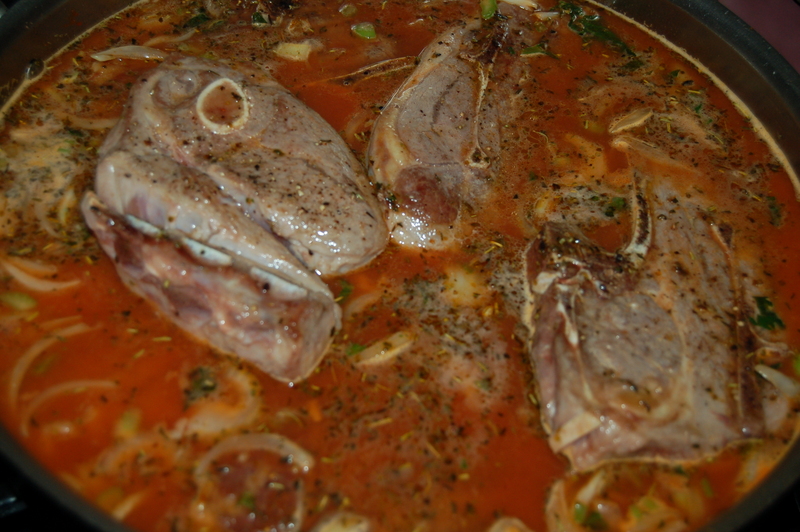 5 – Add the chops and place in the oven checking after 1 1/4 hours. If the chops are very tender, remove from the oven. If not, return to the oven for another 15 minutes or until done. Let the pan rest for 10 minutes before serving. Serve with whatever you like: rice, mashed potatoes, sautéed greens, salad, bread or pasta. 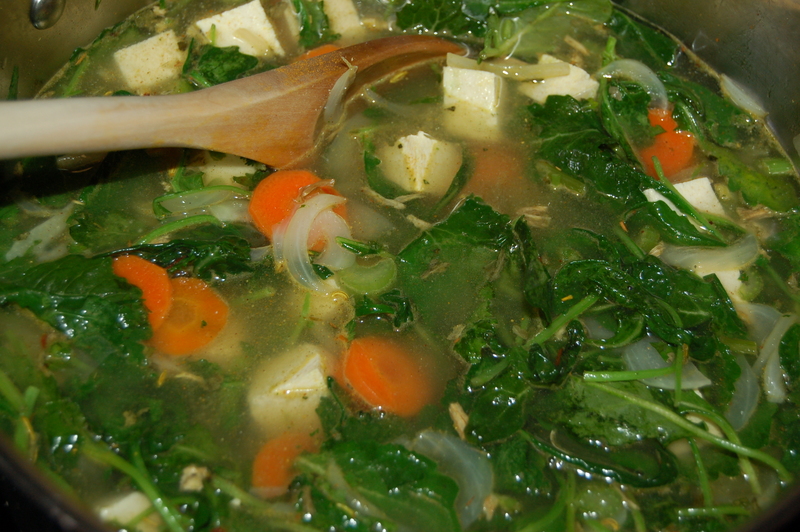 Medicinal Kale And Tofu Soup – Too Healthy for Words! I wanted to start the week with something so healthy, it would give me the energy I needed to get me through the week that lay ahead. This soup was the perfect meal to do the job! We all know the stuff that is good for us, so I decided to put that knowledge to use. 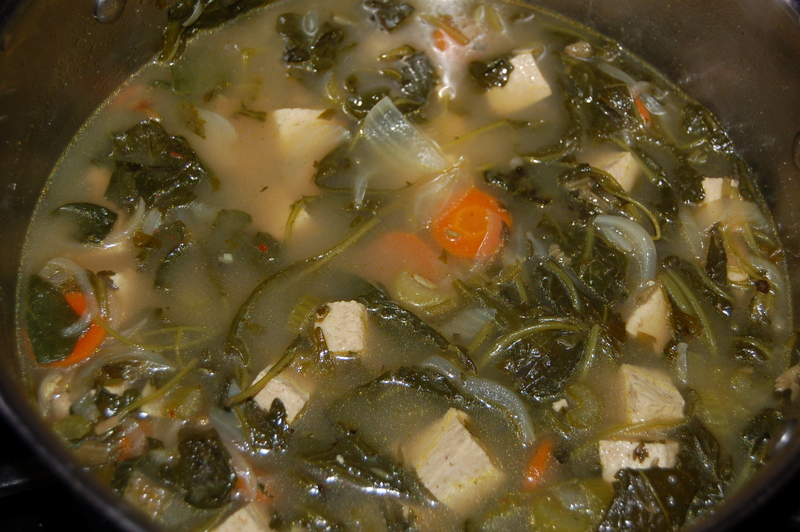 This soup packed with dark green kale, tofu and other veggies swimming in garlicky broth was like getting a magic injection that would hopefully stave off the ever-pressing Wintry blues. Prep all veggies before you begin. 1 – Put large soup pot on medium heat and add the oil. 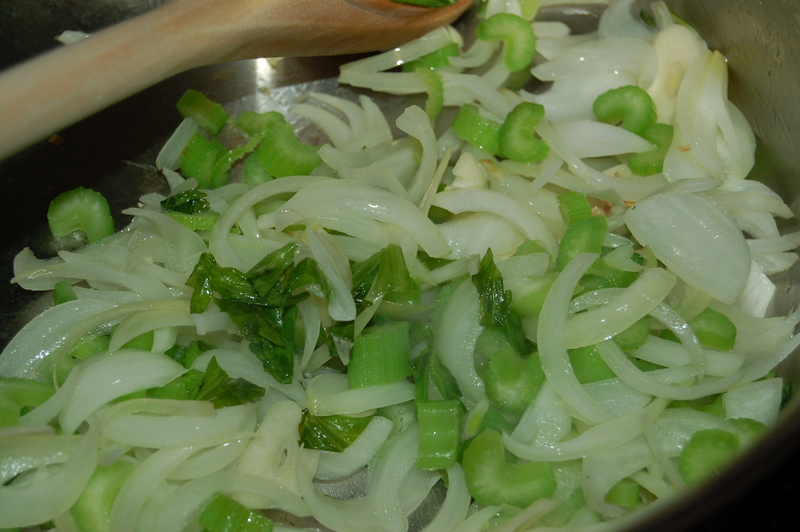 Add the onions, garlic and celery and cook, stirring occasionally for about 6 minutes. 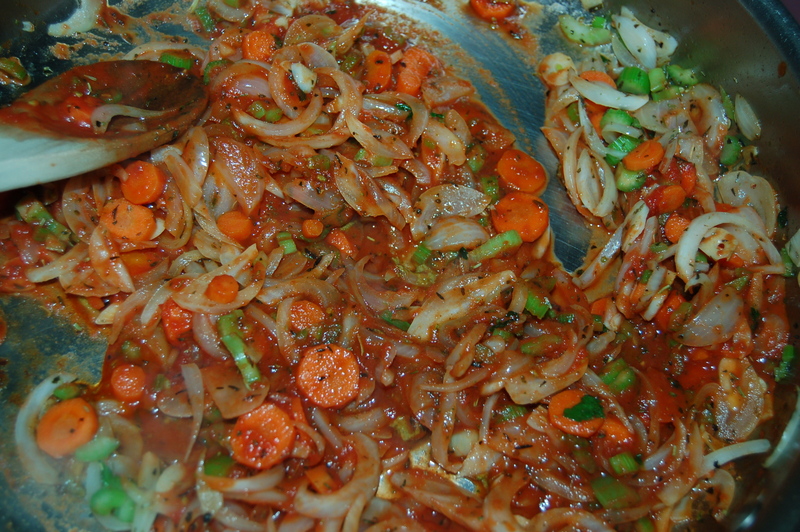 2 – Add the carrots and continue to cook for another 3 minutes. 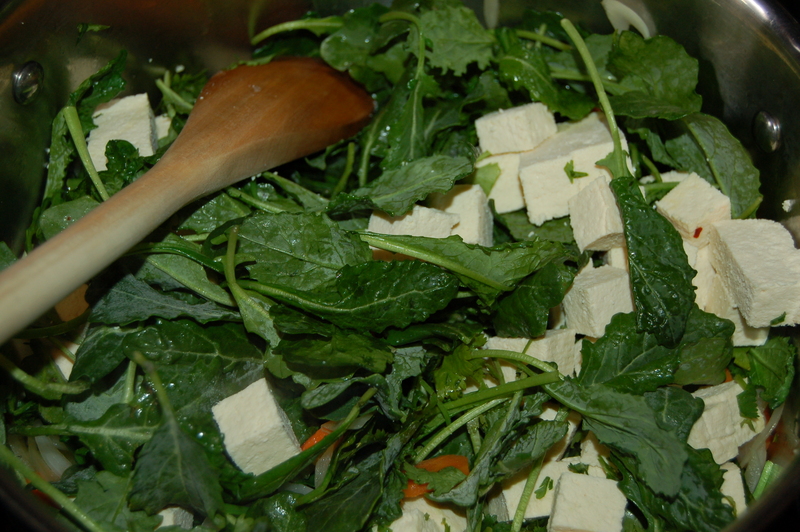 3 – Add the kale and cook for a couple of minutes before gently stirring in the cubed tofu. 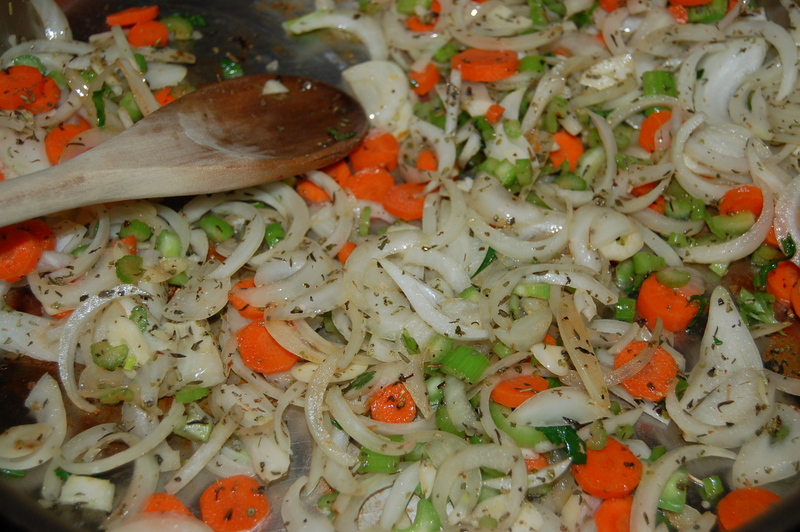 4 – Add the seasonings and bouillon cube and stir into veggies. 5 – Add the water and turn heat up to high. When it comes to a boil turn heat to low and cover pot with lid. Simmer (there should be a very gently bubble visible on the surface) for 15 to 20 minutes. Turn heat off and taste. Adjust seasoning if necessary. Serve alone or with some fresh bread. 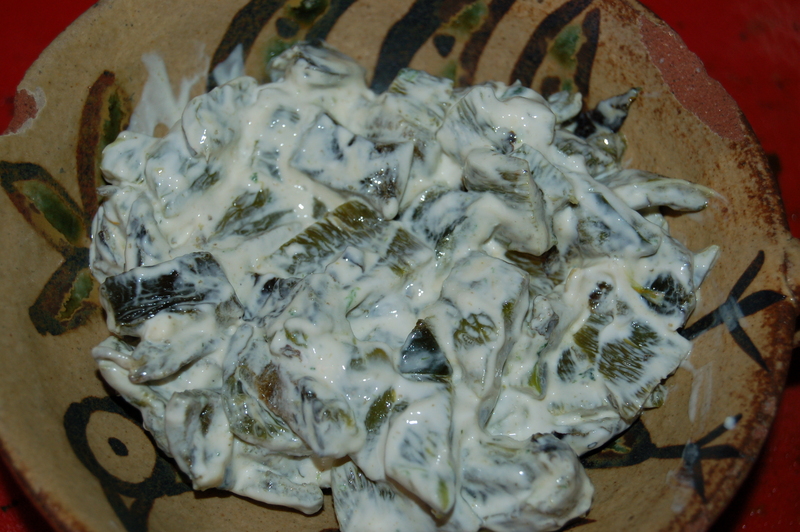 A poblano is a wonderful pepper from Mexico. It has a smoky heat that ranges from mild to bordering on quite hot, and they are particularly versatile when charred. I cooked some of these lovely peppers the other day to mix with rice, but when I tasted one after they had been roasted and chopped, I found they were on the hot side. Seeing as I had to serve rice to all sorts of finicky palates I decided to add sour cream to it and let people use it if they wanted to add a little heat to their rice, fish or meat. 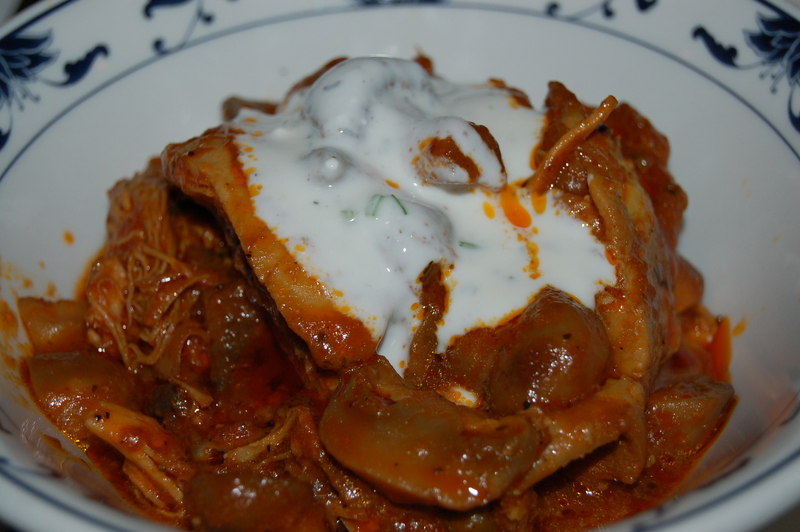 Sour cream has the magical effect of cooling down spicy foods and so it was an easy but handy fix. Two peppers make quite a bit, so we used it up over the next several days in sandwiches, tortilla wraps and as a topping for omelets. Roast a couple and see for yourself! 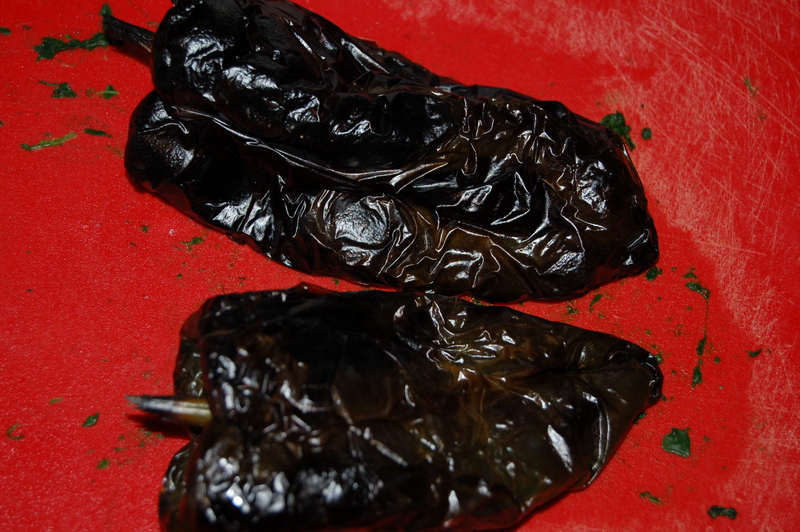 2 – Remove charred peppers to a brown paper bag or plastic bag and seal or turn down as the case may be. Place on a plate (the bag might seep a little as the peppers cool) and allow to cool. 3 – When they are cool enough to handle, place on a chopping board and remove the outer skin with your hands. Then remove the seeds and thick inside ribs. Do not rinse as you go or you will wash away flavorful oils. Lay flat on the board and dice. 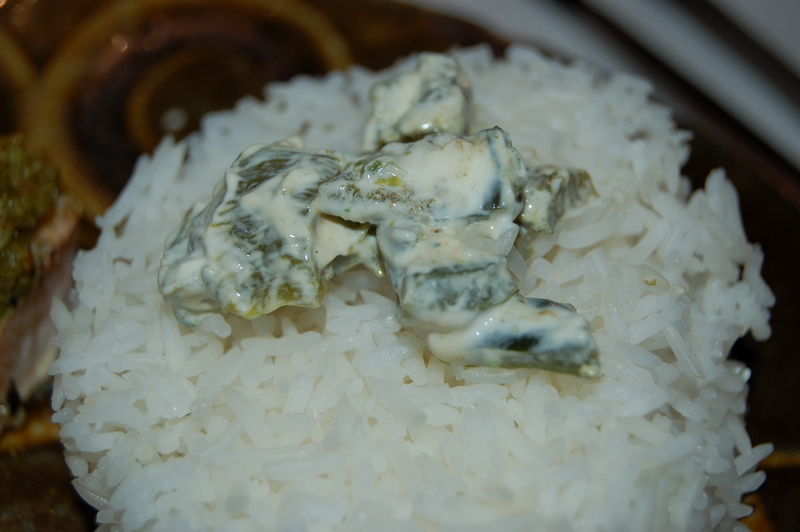 Place in a bowl and mix in the sour cream or yogurt. Start with 1/4 cup but add more if you want a lighter and creamier consistency. Great on rice, fish, meat, in sandwiches, omelets, roasted vegetables, and anything else that needs a little creamy heat.